Donald Trump's shocking November victory set off a frenzy on Wall Street to buy pharmaceutical stocks. Investors bet that Trump would be far less likely to crack down on controversial drug price hikes compared to his rival Hillary Clinton, who had spoken out against the increases and even had a plan to lower prices. Shares of a biotech ETF spiked 9% the day after Trump's election. But Trump put the entire drug industry on notice on Wednesday in an interview with Time. 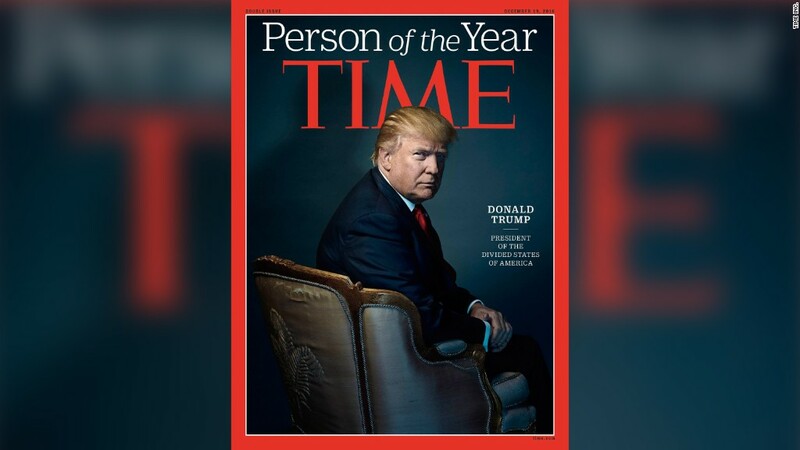 "I'm going to bring down drug prices," the president-elect told the magazine, which named him its Person of the Year. Time said Trump suggested that some stock analysts misread his intentions. "I don't like what has happened with drug prices," he said. The comments instantly rippled across Wall Street. Shares of drug stocks Valeant (VRX), AbbVie (ABBV) and Pfizer (PFE) fell between 3% and 5%. The iShares Nasdaq Biotechnology ETF (IBB) dropped more than 4%. Mylan (MYL), the controversial maker of EpiPen, retreated 5%. This past summer, EpiPen was at the center of a national outrage over the 400% price hike for the lifesaving allergy treatment. Heather Bresch, the Mylan CEO became the latest symbol of corporate greed and was grilled by Congress. Before EpiPen, the dramatic rise in drug prices received ample scrutiny over AIDS drug Daraparim. Martin Shkreli, the so-called "pharma bro," was widely criticized for a 5,000% overnight increase in Daraprim prices. While Clinton was more vocal about taking on drug companies, Trump did speak out on the issue before the election and called for legislation to allow for importing "cheaper" drugs from overseas. "Congress will need the courage to step away from the special interests and do what is right for America," Trump's campaign website said. Trump's comments to Time suggest that this may not have been idle campaign rhetoric. Some drug execs have been warning about the threat from Trump. Allergan (AGN) CEO Brent Saunders said last week at the Forbes Healthcare Summit that "you're fooling yourself" if you think Trump "isn't a populist" and "jump on the next EpiPen scandal," according to Dow Jones Newswires. Saunders said the industry has a "very false sense of security" to think Trrump "won't Tweet against any company that does something like that."